Hello, it’s Christine here today with an All Things Silver greeting card. I’m going to show you that Creative Photo Corners are not just for photos! 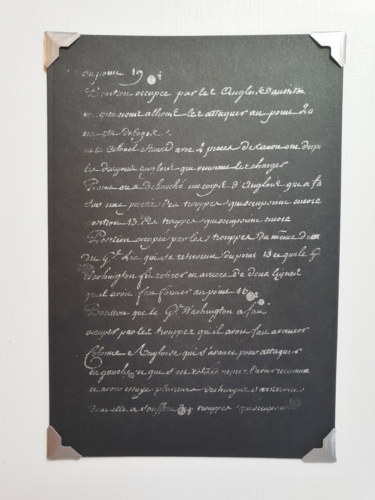 Please take a look to see how this card is easily made with Scrapbook Adhesives by 3L® products. 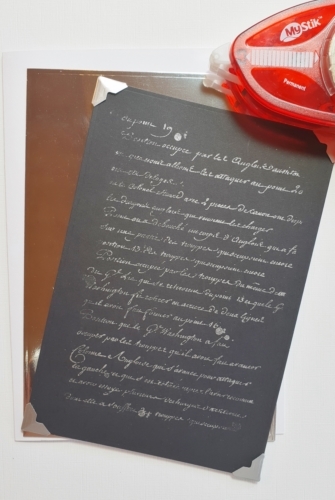 First I stamped a script design in silver onto black cardstock. There’s something very classic about using metallic colors. Creative Photo Corners Silver enhance the stamped image perfectly. Creative Photo Corners also provide a nice frame for focal points on your projects. I matted the stamped card onto silver foil card and a white card base using MyStik® Permanent Strips. Because this adhesive is dispensed in little strips, it is ideal for applying as little or as much as you need. You can make long lines, curves or tiny, individual pieces right where you need them. 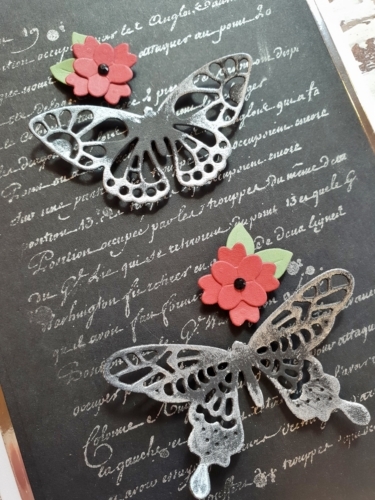 To decorate my card, I die-cut butterflies from black cardstock and used silver gilding wax to highlight the edges. 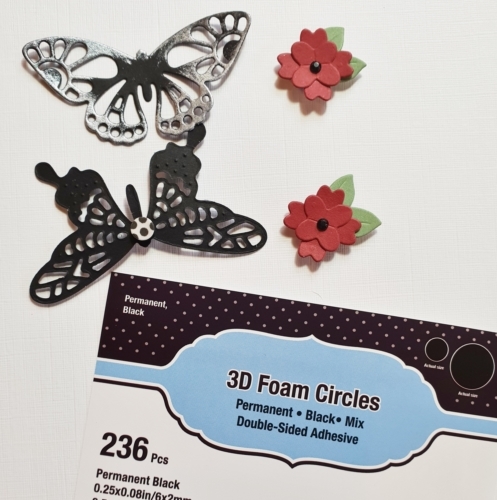 For more silver accents, flowers and tiny leaves were die-cut and secured with the new 3D Foam Circles Black Mix. The smaller circles in this pack fit the tiny embellishments perfectly. 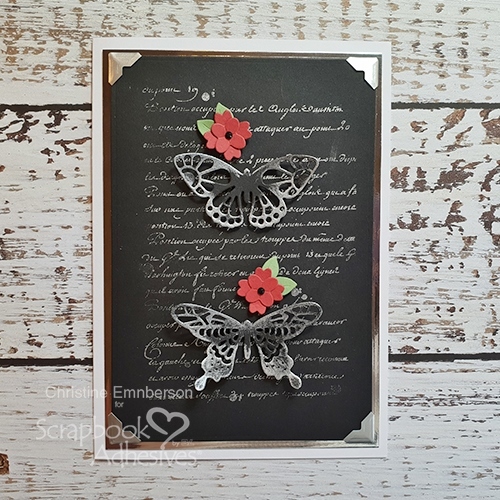 Here is the finished project, two flying silver butterflies with a shot of color from the pretty red flowers. This entry was posted in 3D Foam Circles, Adhesives, Creative Photo Corners, MyStik® Dispensers and tagged 3D Foam Circles Black Mix, Card Making, Christine Emberson, Creative Photo Corners Silver, MyStik Permanent Strips, MyStik Permanent Strips Value Pack 3 Refills, Spellbinders Paper Arts, Tutorial, Wear Your Adhesive on the Outside. Bookmark the permalink. 3 Responses to "All Things Silver Greeting Card"
I adore this card, it is ‘right up my street’, I absolutely love it.